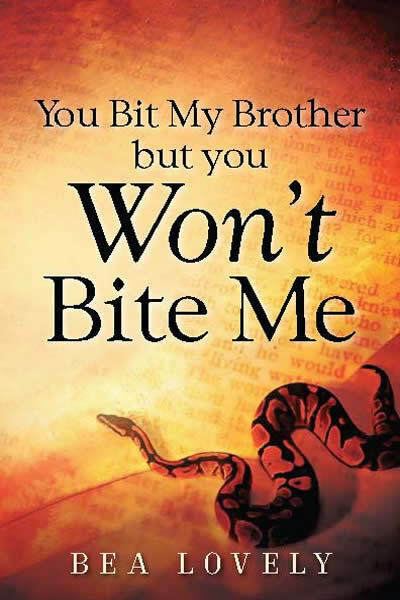 At the time Adam ate from the tree of the knowledge of good and evil (Genesis 3:6), man’s blood became contaminated with venom from the serpent’s bite, later bringing about the death sentence to the entire human race. But God so loved the world that He went on a quest to save Adam’s seed—all of us. He sent His Son, Jesus, to restore the human race to its original state of fellowship with Him. But you must choose to accept this free gift from God. As you do, beware: Satan will seek to sneak into the areas of weakness in your life, and try to charm you and turn you against God. You must become empowered with the Holy Spirit to render Satan powerless. If you don’t, you will get bit.